Complete the following form(s) using the instructions printed on page 2 of the form. To ensure that your registration form is processed, IT IS VERY IMPORTANT THAT YOU FOLLOW THE INSTRUCTIONS EXACTLY! Mail the form(s) with the required registration fee to the following address. Email a photo for each sheep being registered to the email address provided. All photos become BBSAI’s property and may be used in BBSAI publications without attribution. What Makes a Good Registration Photo? The BBSAI prefers to receive digital photos attached to an email. The photo must clearly show the face, body, and tail of the sheep and must be taken sufficiently close to the sheep so that markings are visible. The photo must not be blurry or out of focus. The file name must include the sheep’s name and number (e.g., 0782.Rocky.jpg). The photo must clearly distinguish the sheep being registered from any other sheep in the photo. Both digital and hardcopy photos should be cropped so that the sheep being registered is predominant. If using a digital camera, we prefer photos taken at high resolution (best quality) and set to include the date of the photo. See your camera’s instruction manual for details. If submitting printed photos, write the sheep ID (name and/or tag number) and date photo was taken on back of each photo. Genetics: Breed registries provide a place to pool genetic data across many breeders. These data are important when making informed decisions regarding a breeding plan. Let’s say you want to purchase a ram from a breeder in Oklahoma and you already have several ewes from a different breeder also located in Oklahoma. You need a way to determine if your ewes are related to that ram. The breed registry provides that information. The breed registry is an important tool that breeders can use to ensure genetic diversity in the breed. 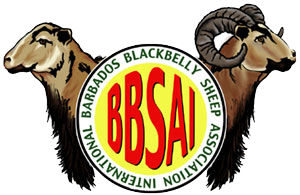 Value: Eventually, as breeders eliminate less desirable traits and strengthen the traits so valued in American Blackbelly and Barbados Blackbelly sheep, registered animals will command a higher resale price than non-registered animals. In addition, there are many breeders who will not purchase an animal if it has not already been registered or if there is not some guarantee of registerability in place at the time of sale of an unregistered animal. The registration warrants that the animal meets the breed’s standards. Credibility: Being able to demonstrate several generations of breeding records always increases your animal’s marketability. If those records are supported by registration documents, then that is one more thing that supports your reputation as a credible breeder. Traceability: A breed association maintains a permanent record of the breed and protects the standards of excellence that breeders seek when buying pedigreed sheep. By registering your stock, you provide traceability of that animal’s pedigree. 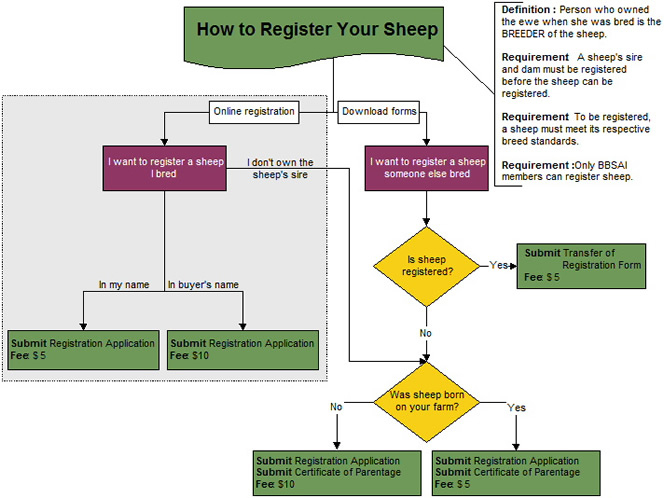 Marketing tool: Registering your sheep usually allows your name to appear in that registry’s Breeders list. This is often the first place prospective buyers look to find a breeder.